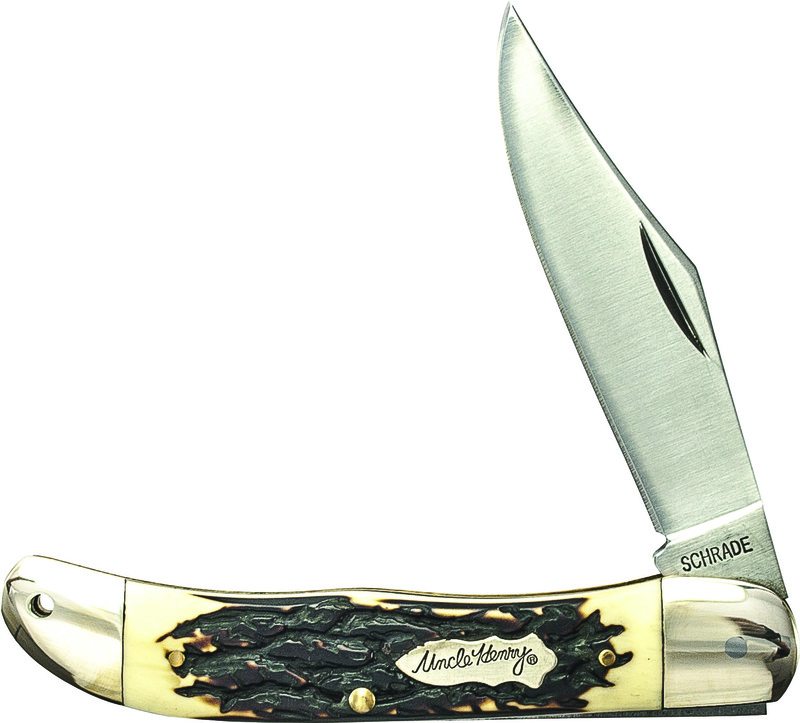 11UH - Schrade Uncle Henry Large Canoe. 7Cr17MoV Steel. 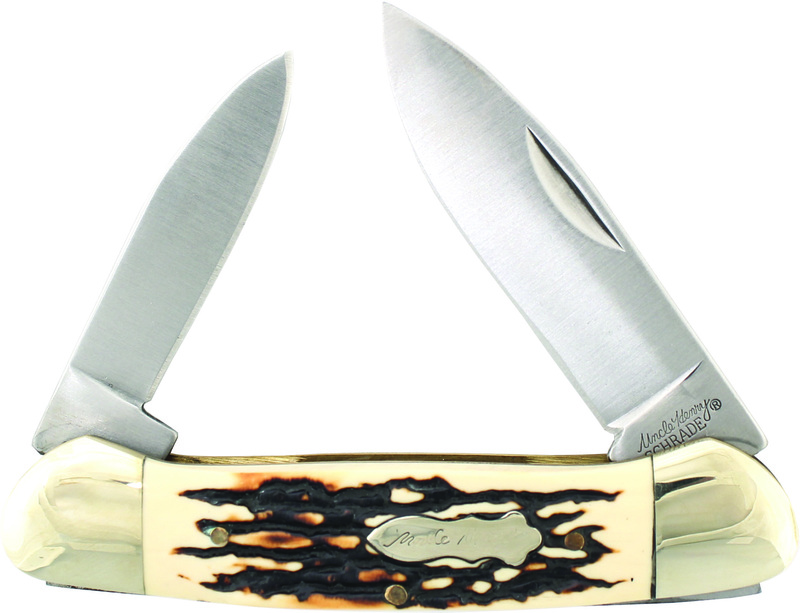 124UH - Schrade Uncle Henry Tradesman Clip Blade Folder w/Leather Sheath. 7Cr17MoV Steel.